How to install Cart2Cart ThirtyBees Passwords Migration Plugin? Download Cart2Cart Thirty Bees Passwords Migration Plugin by clicking on the link. 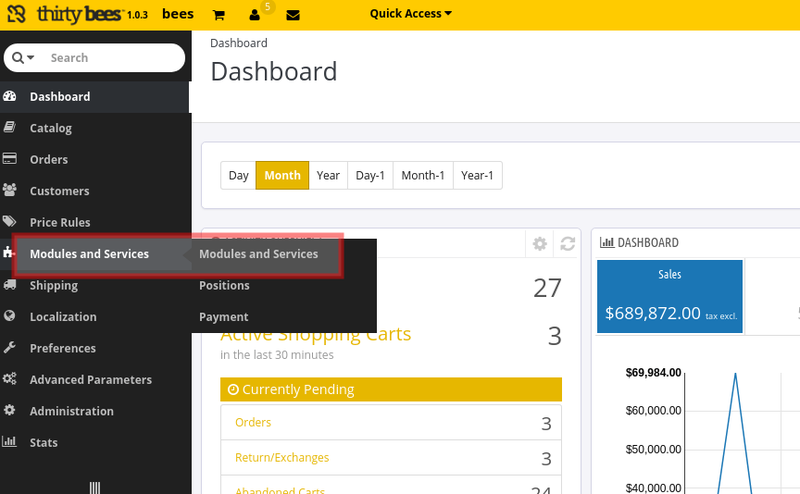 Log in your Thirty Bees admin panel. Go to “Modules and Services”. In the right upper corner find the button “Add a new module” and click on it. Choose zip file “Cart2Cart-ThirtyBees-Passwords-Migration” and click “Upload this module”. Once the plugin has been successfully downloaded, you’ll get the notification “The module was successfully downloaded”. Now you can proceed with Full Migration settings.